At The Preserve at Osprey Lake, you can relax your mind and restore your senses. Nestled on park-inspired grounds, your new lifestyle community offers a peaceful backdrop of lush landscaping and a tranquil pond. Start your mornings with a total-body workout in our fully equipped fitness center. Get your blood pumping on the cardio equipment and strengthen your muscles with free weights. 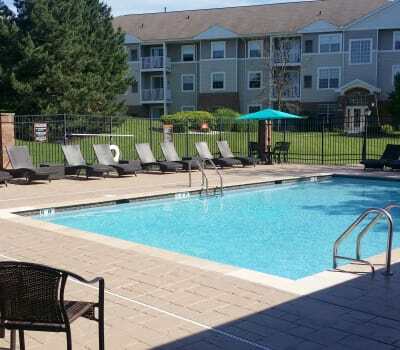 For year-round swimming, your new apartment community boasts two resort-inspired options. Swim in the sparkling outdoor pool in the summer and take a dip in the indoor pool when the weather turns cold. After your swim, soothe your muscles in the relaxing dry sauna. Our pet-friendly community also boasts a walking trail around the pond, perfect for evening walks with your furry companion. For a more strenuous walk, check out the trails at the County Forest Preserve. 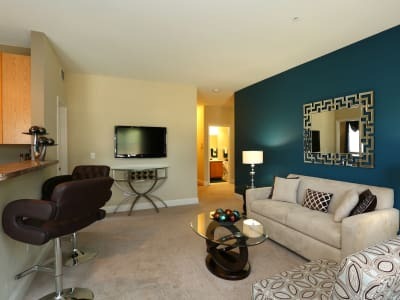 As a resident of our Studio, 1 & 2 bedroom apartments for rent in Gurnee, IL, our collection of high-end amenities is yours to explore. Call The Preserve at Osprey Lake today to schedule a walkthrough.